Luxurious lodging options are available on site. Join the River Expeditions community! Safari Tents are an easy and convenient way to sleep under the stars. Leisure cabins sleep up to 11 people. Rustic Cabins are a historic way to experience West Virginia. Bunkhouses are a great option for group trips. Leisure cabins are well-equipped and spacious. Relax in style after your expedition! River Expeditions choices for lodging are as diverse as our rafting trips, with something for everyone! Since most of our rafting trips depart from basecamp early in the morning, it makes perfect sense to stay on-site. Our basecamp covers over 100 acres and includes several, spacious tent camping areas, RV Sites, luxury, leisure and deluxe cabins, plus our rustic, bunk-style cabins, bungalows and safari tents. You can choose to rough it in a primitive wooded tent campsite or go #glamping (new term for glamorous camping) in our premium five-bedroom luxury cabins with your own private fireplace and hot tub. These lodging options are priced to fit any budget and allow you to truly experience the campus-style atmosphere at #RiverExpeditions. Overnight guests have access to the Fire Creek Lodge with complimentary Wi-Fi, complimentary breakfast each morning and exclusive use of the outdoor pool and hot tub – never pay extra for these amenities like at other outfitters! Now there’s another reason to extend your stay with our exclusive fourth consecutive night free offer for ALL on-site lodging units, all the time! The best nights in life are free! Get real rewards in real time. Safari Tents are a convenient way for you to enjoy all the fun of camping, without all the hassle of packing a tent, setting it up and tearing it down. The sites in our RV Park are new and improved this year, complete with water and electric hook ups and even a dump station on-site. Enjoy shelter from the elements plus the comfort of a soft bed in a primitive setting. Cozy lodging with two queen beds, seating area, bathroom/shower, satellite TV, Wi-Fi, kitchenette with fridge, microwave and coffee maker, plus heat/air. Choose from spacious wooded, festive, alcohol-free and quiet camping areas each complete with picnic tables and fire rings. Conveniently located to the Fire Creek Lodge, where you can relax watching TV, surf the Internet or play pool after your day of adventures. 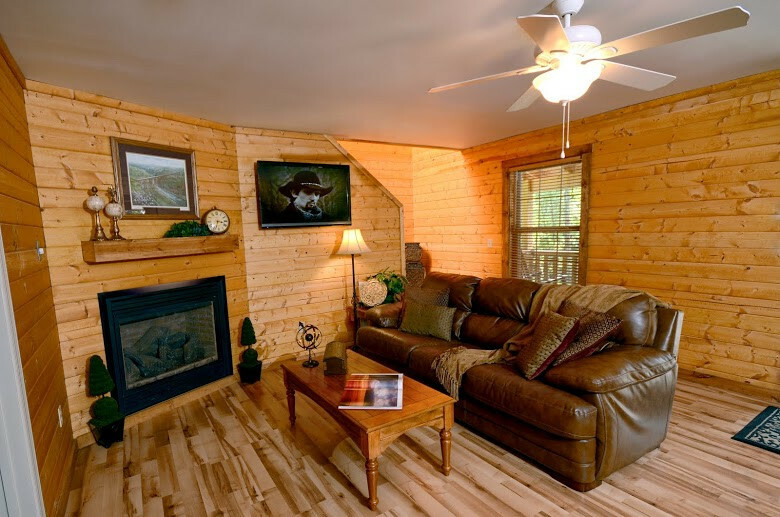 The all new Leisure Cabins at River Expeditions Adventure Resort on the New River Gorge are conveniently located near the Fire Creek Lodge. Enjoy all the comforts of home in our beautiful five queen bedroom luxury cabins nestled in the woods at River Expeditions Adventure Resort. The New River Gorge area’s lodging opportunities are diverse with over 3,500 different hotel and lodging options.